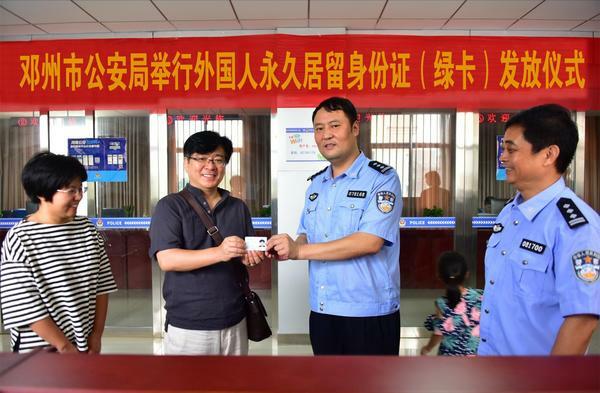 The first permanent residency identity card for foreigners in Dengzhou was issued by Du Xin, deputy director of the municipal public security bureau, to Kwone, a Korean citizen, on July 30. The Dengzhou public security bureau held a releasing ceremony in the entry and exit hall to congratulate Kwone as the first foreigner in Dengzhou to hold a Chinese green card. Kwone moved to China from Seoul, South Korea in 2003 and married a Dengzhou girl, in 2005. He applied for a permanent residency ID card in 2016. 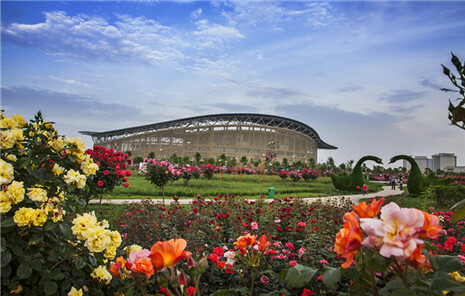 With the help of the exit-entry administration division of the Dengzhou public security bureau, Kwone application was accepted in June 2016 and he finally obtained his ID card last month.